HTC U11 is one of the latest and much-awaited devices launched by HTC in the year 2017. The phone comes with a 5.5inch display with a pixel resolution of 1440 by 2560 pixels. The device is powered by 2.45GHz octa-core Qualcomm Snapdragon 835 processor with 6GB RAM. 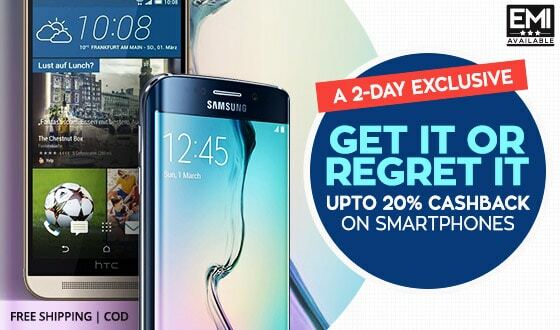 The smartphone comes with 128GB internal storage which can be expanded up to 2TB via micro SD card. This external storage can store a lot many files you will ever need in any phone. HTC U11 has a 12-Ultra pixel camera at the rear and 16-megapixel front facing camera for those beautiful selfies. The HTC U11 runs on Android 7.1 and the system is powered by 3000mAh battery which is the non-removable battery. The device comes power loaded with many features and multiple hardware properties. HTC is known for their strong hardware and software combination which give out the best user experience. The smartphone might look weird with its very strange device colour combination but this is something new every in the smartphone market. It always appears to be different when viewed from different angle and lighting condition this make the device stand apart from the crowd. HTC says that the device is been coated with highly refractive minerals which give it a metallic finish. The HTC U11 Edge sense is something very innovative and gestures which can be used to navigate easily and control a lot many things around in the smartphone. A gentle squeeze when the phone is in hands can trigger many features like launching the camera, voice assistance and much more. The squeeze on the side will give you a vibration feedback which will tell you that our request has been accepted by the device. HTC is one of those revolutionary smartphone makers which got dual-camera setup in HTC One M8 but this time along has not got this setup to HTC U11, but claims to be one the best camera with no extra hardware and is also backup by DxOMark. There is nothing much to say about the camera it performs well and up to mark but not extra ordinary. 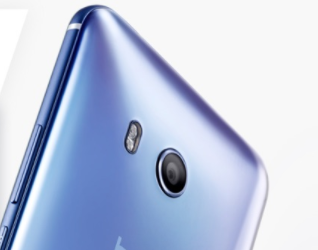 HTC had announced previously that the phone would get an update which will enable 1080p 60FPS recording and is finally rolling out 1080p 60FPS recording support for all HTC U11 smartphone around the globe. 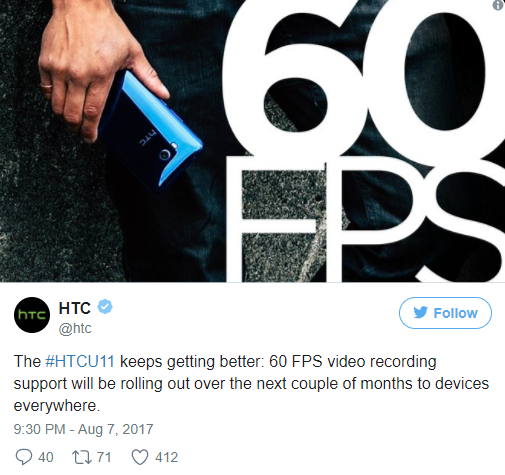 This was announced by HTC themselves via their official twitter handle. This update will be provided to all users from different countries within a few months. 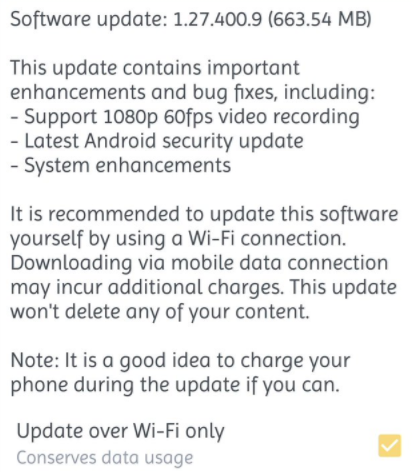 Reportedly some users from Hong Kong have shown screenshots of their device getting the latest firmware update but this is unclear if the update will be provided to Asian countries first then to others. The screenshot shows that the new build update is called 1.27.400.9 and is over 663MB in size which proves it to be a big update. There is also Android Security Patch which is dated to be August 1. It has said that the latest update contains system enhancements. The update rolling out is an OTA update and might be users will always need to scan and search for it. If they are eagerly waiting for it. HTC also has recommended users to download the software over a Wi-Fi network so that it gets downloaded fast without any error. It has been also recommended to have battery more than 50% or the smartphone is connected to the charger during the firmware installation process. This is most recommended because if in any case the phone gets shut down during the installation process it could cause significant problems in which the smartphone might also get into a boot loop or need more serious attention.